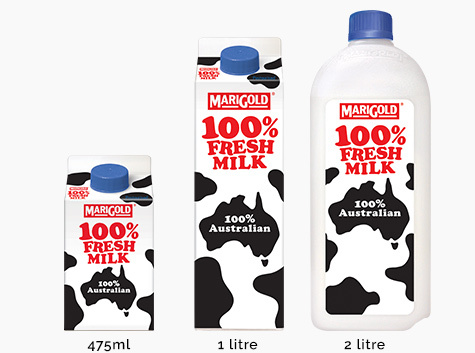 Direct from the green pastures of Australia, MARIGOLD 100% Fresh Milk contains all the natural goodness of fresh Australian cow's milk. With the abundance of lush green pastures, purity of air and all things natural, the cows are well taken care of and thus produce only the best 100% Australian fresh milk that nature has to offer. MARIGOLD 100% Fresh Milk is available in the classic variant that’s pure milky goodness.